Macroeconomic data such as IIP and inflation numbers (CPI and WPI) are likely to set the tone for domestic stocks this week. Macroeconomic data such as IIP and inflation numbers (CPI and WPI) are likely to set the tone for domestic stocks this week. CPI for January and IIP for December 2018 will be released on Tuesday while WPI inflation numbers will be be unveiled on Thursday. Apart from this, markets may see some reaction over reports the US is considering withdrawal of zero tariffs for India. Moreover, next batch of December quarter earnings, movement of rupee against the US dollar, US-China trade talks, developments around Brexit and crude oil prices are other major factors to watch out for. Tata Steel: The steel giant on Friday reported a 54.33 per cent jump in consolidated net profit to Rs 1,753.07 crore during the quarter ended on December 31, 2019, helped by higher income. Future Group stocks: Global online marketplace giant Amazon has indefinitely put on hold its plans to buy stake in Kishore Biyani’s Future Group, said a Business Standard report. 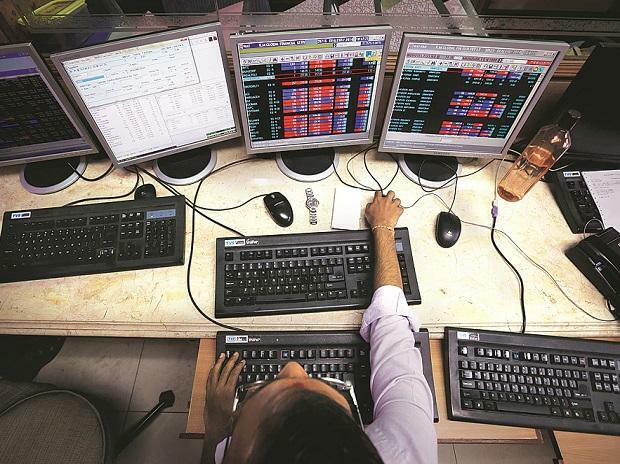 Edelweiss, ADAG stocks: Reliance Power has asked the markets regulator Sebi to prohibit the Mumbai-based Edelweiss financial services group from trading in the securities market. Andhra Bank, Eicher Motors, HAL, MFSL, Max India, Motherson Suni Systems, Power Finance Corporation, Butterfly Gandhimathi Appliances, Andhra Bank, Eicher Motors, Hindustan Aeronautics (HAL), MFSL, Max India, Power Finance Corporation. Most Asian shares were trading in the negative territory on Monday as investors adopted wait-and-watch approach ahead of the US-China trade talks, which are slated to resume in Beijing later this week. Moreover, worries over global growth and US politics also dented the sentiment. MSCI’s broadest index of Asia-Pacific shares outside Japan was a tad weaker after it was toppled from a four-month top on Friday. The US dollar rose against most other currencies on Monday, holding near a six-week high. US stocks ended mixed on Friday. India’s market capitalisation is down by $274 billion, or 12 per cent, in dollar terms in the past one year. In comparison, the Sensex is down four per cent in dollar terms and has risen six per cent in local currency terms. The weakness in the rupee and broader markets has led to evaporation in the market cap. The rupee has depreciated by 10 per cent against the US dollar since February 2018. The broader market-based MidCap and SmallCap indices of the BSE are down 14 per cent and 24 per cent, respectively, during the same period. Foreign portfolio investors (FPIs) added positions in stocks of financials, and reduced their exposure to the energy sector, an analysis of December 2018 quarter shareholding data by Morgan Stanley shows. Mutual funds (MFs), on the other hand, increased their allocation to information technology (IT) and energy stocks and pruned stake in consumer staples. FPIs upped stake in 28 companies, while reducing holdings in 44 in the Morgan Stanley top 75 universe during the quarter. On the other hand, MFs upped their holdings in 49 stocks but pared stake in 25. FPIs were seen aggressively buying stakes in eight stocks, including state-owned Power Finance Corporation (PFC). MFs’ holding rose by more than a per cent in 18 companies, of which the biggest increase was in Axis Bank. NRI (non-resident Indians) and OCB (overseas corporate bodies) aggressively bought shares of YES Bank, but also jumped shipped in case of Reliance Infrastructure.